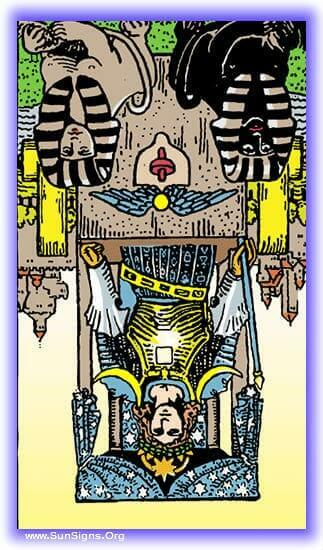 The Chariot tarot card of the Rider Waite deck represents life in motion, moving forward, advancement and victory. 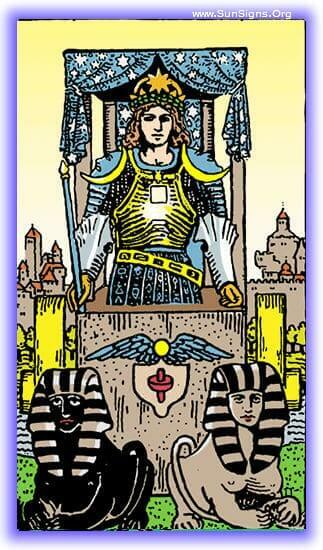 The chariot’s driver has succeeded in what he was pursuing, and is now able to enjoy the fruits of his efforts. This is a time for celebration and excitement, enjoying the long hard victory is as important as the struggle to get there. Find out what this card from the Major Arcana implies in reverse and upright positions. The destination reached, the challenge overcome. All hail the reigning and conquering King! Nothing can stand in his way, and nothing has. Now is a time for celebration! You have recently overcome a hardship, accomplished a goal of some significance. Gotten that signature on your house loan? Paid off some great debt? Maybe you just graduated college or got the job you wanted. Either way, the struggle is past, as is the celebration, now it’s time for what’s next! If you are not yet successful in your efforts, you soon will be. Be prepared to celebrate, as all this time and dedication has turned into a successful and useful future. While you can spend some time preparing for the future, that can wait a bit, now is time to rest on your laurels, and take a breather, before riding the chariot into battle again. The end is in sight! Your travels and work have near come to an end, so buckle down and see this thing through until your victory parade! Take into account the other cards preceding this one, and use them as a guide to get to this point! Your progress is halted, success is a distant dream. One obstacle after another has stood in your way, and your victory is a long way off on your current tack. The battle you currently face is against odds you may not overcome. You have struggled through, you have struggled on, and gotten past this point where all hope seemed lost. You may not have gotten through it well, but it is, at least, in your past. Time to look forward with better plans. You are stagnated, your wheels broken, all forward motion stopped. It’s time to take a look around and see if there is a better way to see your way through. If not, then all you can do is buckle down and know this isn’t going to turn out how you hoped. If this tarot card is in your future, it may be time to rethink your current course, as it is yet avoidable. The path you’re on will lead to certain destruction, turn back while you still can. At this point it is definitely time to examine your plans and work to change the course your chariot is on before your wheels shatter.